An absolutely cracking lunch today in Surtopia where the food seems to be getting better and better, and the list of sherries (and even more manzanillas) has always been amazing. My fellow trencherman and host, Chicho (a Jerezano in body, soul and inclination) started with a glass of Inocente and I an 11540 with some delicious marinated sardines and Almerian tomatoes – absolutely magnificent stuff. 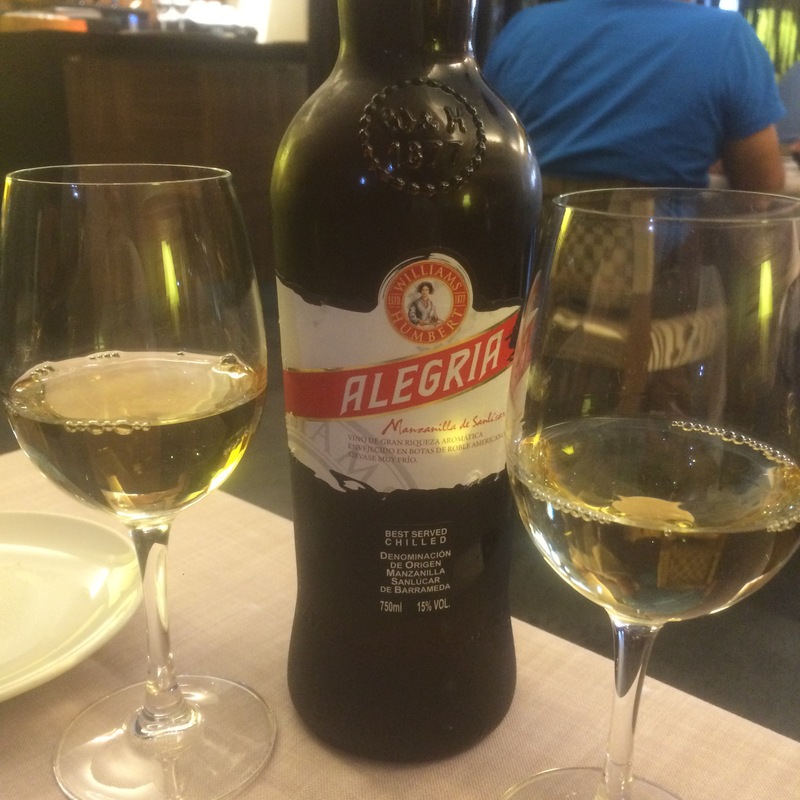 We then had one of the best tuna tartare I have ever had – with a lovely combination of mustard and (sherry) brandy – with this little gem of a manzanilla: the appropriately named Alegria, by Williams & Humbert. The pairing was good but not magic – more an excellent wine and an excellent dish than an excellent combination. The wine is excellent though – light and aromatic, integrated and balanced, a really enjoyable glass by any standards. We then ploughed on with more tuna – a confit of tuna in “manteca colorao” (literally coloured lard with an andalucian accent – but much nicer than it sounds). Again, a fantastic dish – probably the best of its kind I have had, meaty in texture and flavours. 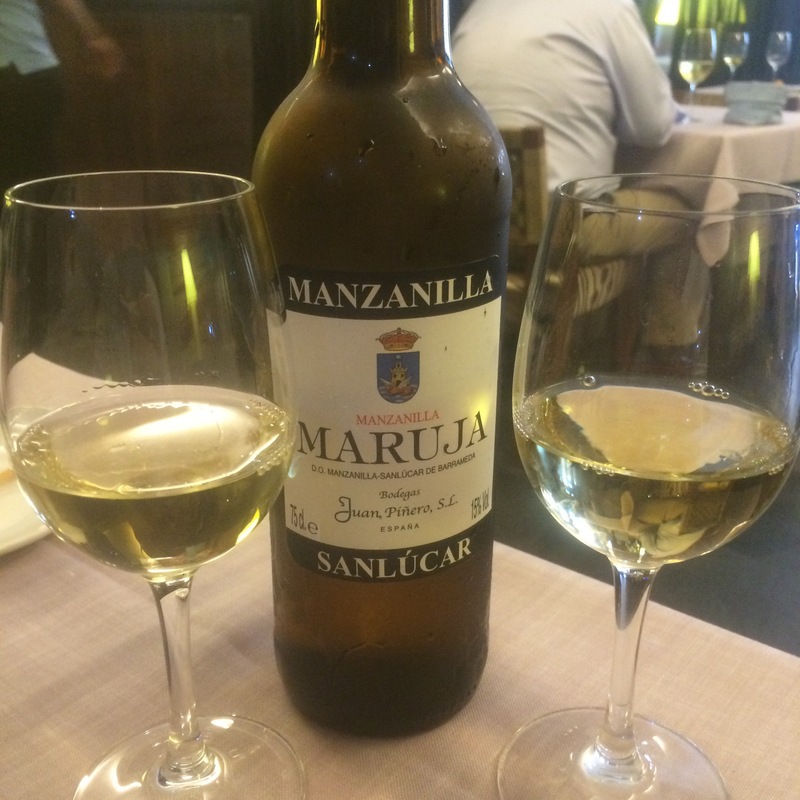 We had it with La Maruja, again an excellent nutty, sea-air laden manzanilla, although for my money not quite as aromatic and lively as the Alegria. All in all a magnificent lunch with a great deal of laughter, some excellent manzanillas and some quite outstanding food.